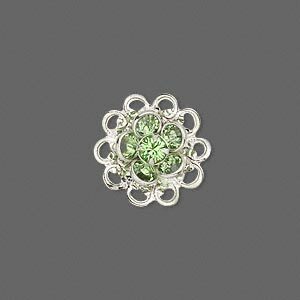 Sew-on component, Swarovski® crystals and silver-plated brass, crystal clear and emerald, 17x17mm flower with 8 loops (60444). Sold individually. 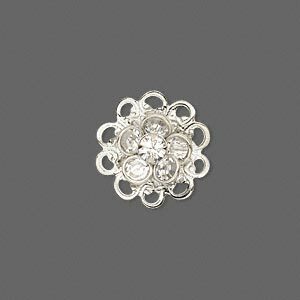 A versatile component with incredible sparkle--this Swarovski® crystal sew-on component features eight loops for attaching to a variety of designs. Swarovski® crystal components are made in Austria and are considered the finest products of their kind in the world. 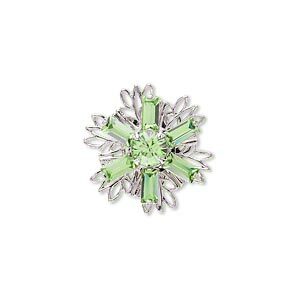 Sew-on component, Swarovski® crystals and rhodium-finished brass, peridot, 17mm flower. Sold individually. 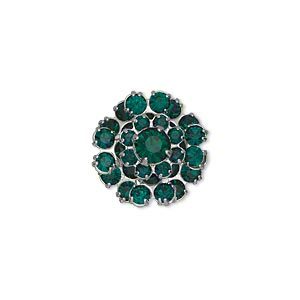 Sew-on component, Swarovski® crystals and rhodium-finished brass, peridot, 17mm filigree flower. Sold individually. 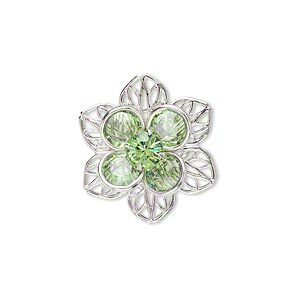 Sew-on component, Swarovski® crystals and rhodium-finished brass, peridot, 22mm flower. Sold individually. 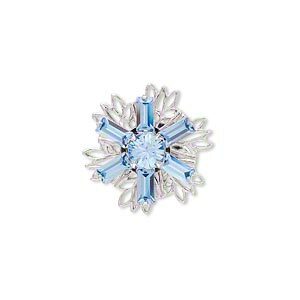 Sew-on component, Swarovski® crystals and rhodium-finished brass, crystal clear, 17mm flower. Sold individually. 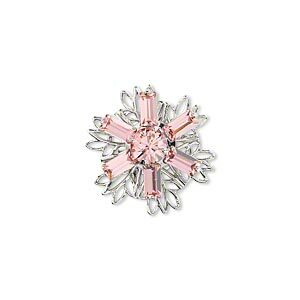 Sew-on component, Swarovski® crystals and rhodium-finished brass, light rose, 17x17mm flower. Sold individually. 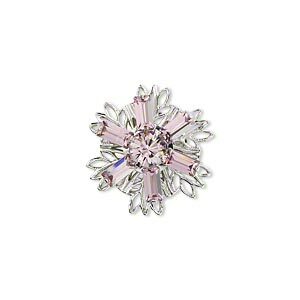 Sew-on component, Swarovski® crystals and rhodium-finished brass, light amethyst, 17x17mm flower. Sold individually. 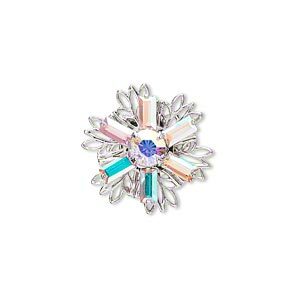 Sew-on component, Swarovski® crystals and rhodium-finished brass, light sapphire, 17mm flower. Sold individually. 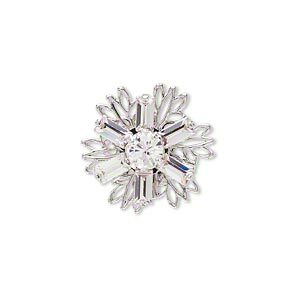 Sew-on component, Swarovski® crystals and rhodium-finished brass, crystal AB, 17mm flower. Sold individually. 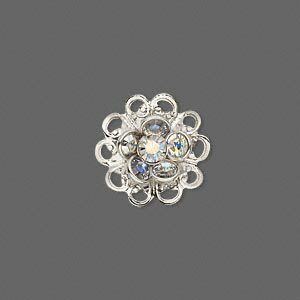 Sew-on component, Swarovski® crystals and rhodium-finished brass, crystal AB, 17x17mm flower. Sold individually.